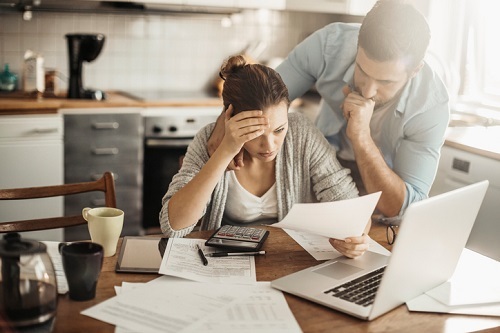 Canadians have become more optimistic about their debt loads and personal finances in the second quarter of the year, according to new research by insolvency practice MNP LTD. In the months since March 2018, the MNP Consumer Debt Index went up by 10 points. 61% of those polled during that period stated that their debt situation has improved, including 27% who said that their debt situation is better compared to a year ago. 35% also said that their debt situation has improved compared to 5 years ago. Meanwhile, 57% of respondents indicated a belief that they will be able to cover all necessary living expenses in the next 12 months without incurring further debt. This figure was 4% higher than it was back in March. A growing number of Canadians are confident that they can absorb an interest rate hike of 1%, the study found. 28% of respondents stated that a hike will push them towards insolvency, 5% lower than the previous reading. 42% said that a larger increase will be cause for financial concern, 2% lower than the previous reading. In improving their liquidity, 52% of those polled said that they reduced expenses on entertainment, coffee, or lunch money. 43% stated that strictly adhering to a budget does wonders for one’s financial state, while 28% reduced fixed expenses such as rent, mortgage payments, or car payments. The gig economy is also increasingly proving itself a valuable source of funds, with 23% of survey respondents saying that they have become sellers, and 11% taking on second jobs. However, MNP warned against premature exuberance about financial prospects. “Canadians might be feeling more optimistic but the question remains: will they actually be able to absorb higher debt servicing costs as rates rise? When you look at the staggering number of people who are teetering on the edge, it’s clear that we are going to start seeing a rise in delinquencies as rates rise,” MNP president Grant Bazian said. Indeed, the study found that while optimism might be in an upward trend right now, fully 50% of Canadians are not confident that they will have zero debt once they go into retirement.